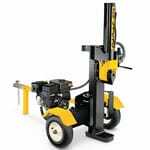 BOLINGBROOK, IL (October 12, 2016) - Log Splitters Direct has just released their lists of the Best Log Splitters of 2016 to help consumers choose the best log splitter to meet their needs. 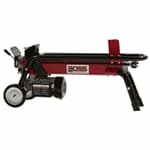 The online retailer and leading log splitter ratings site currently lists more than 160 log splitter models and publishes over 1,600 log splitter reviews from real log splitter customers. Log Splitters Direct uses a custom-created algorithm that assigns a very accurate letter grade for each model of log splitter, enabling Log Splitters Direct to publish the most comprehensive 2016 log splitter ratings available. The word “best” means different things to different people. LogSplittersDirect.com publishes lists that can be sorted three ways. 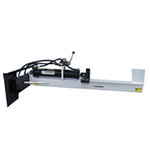 Shoppers can sort splitters by best selling, top-rated or expert recommended models. In addition, the results can be filtered, narrowing the selection of log splitters significantly. One list wasn’t good enough for LogSplittersDirect.com. 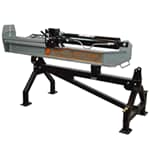 The online retailer created separate lists for each of the four styles of log splitters, ranging from small electric units to heavy-duty, 45-ton log splitters. The majority of best-selling lists are updated once a year, showcasing discontinued splitters that were popular last year. Log Splitters Direct's lists, however, are updated in real-time, highlighting what’s hot and what’s popular in 2016. “To keep our ratings and rankings accurate and up-to-date throughout the year, we ask customers to provide honest reviews and ratings of their own for our products every day. Constant consumer feedback is vitally important to maintaining an ongoing understanding of what real people think about what we offer on our sites.” said Vogelsanger, who spends much of his time working with every-day log splitter shoppers and learning about new industry innovations to provide the most up-to-date service. LogSplittersDirect.com doesn't require a sign-up form or a subscription. The retailer’s goal is to educate shoppers with free information, helping them pick the perfect log splitter. Dale goes on to say, "At Log Splitters Direct, we insist on providing information shoppers can trust and rely on when shopping for a log splitter, which is why we insist on providing this unbiased and insightful information along with my expert recommendations for free." Log Splitters Direct announces the best selling log splitters 2016 and the top rated log splitters 2016. The product experts chose the best selling log splitter 2016 based on sales history and customer reviews. Read recommendations on the best log splitters 2016 from the experts who work with them every day.